Our exercise Physiologist Team are allied health professionals who specialise in clinical exercise interventions for people at risk with chronic disease, complex medical conditions and injuries. Exercise Physiologists provide treatment utilizing physical activity and behavioural change for clients with conditions such as cardiovascular disease, diabetes, metabolic syndrome, osteoporosis, mental health problems, cancer, arthritis, chronic obstructive pulmonary disease as well as many other conditions. 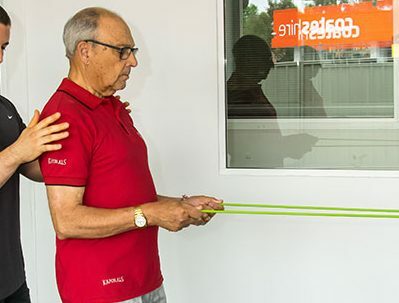 Our Exercise Physiologists can help you to regenerate your fitness and health with exercise programs that are tailored to your individual needs and aim to strengthen the body and enhance flexibility.